South Africa’s military capabilities are evolving from preparing for conflict to and emphasis on peacekeeping… but this comes at a price. 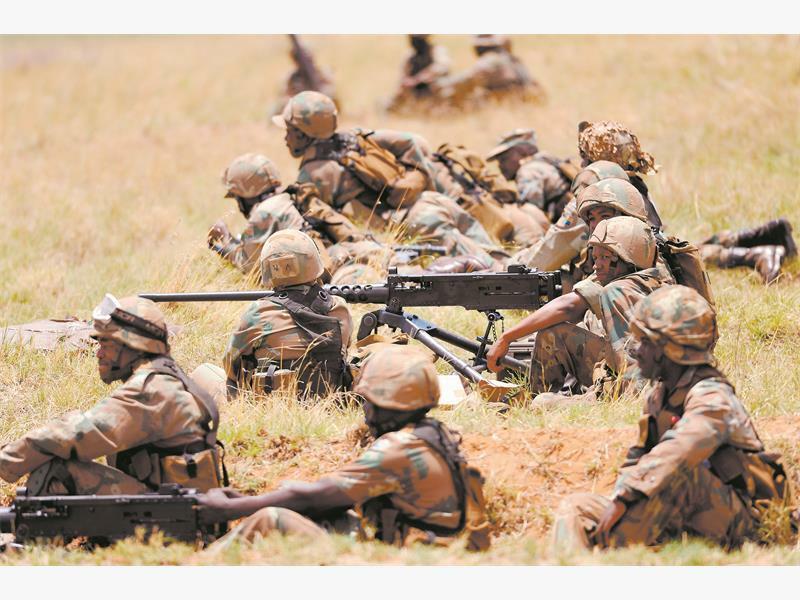 To this end, the South African National Defence Force (SANDF) is hoping its budget will more than double over the next 14 years – despite the country not being at risk of war. The Defence Review 2014, discussed in Pretoria yesterday, admitted the force is in a dismal state and outlined the SANDF’s responsibilities and future plans to get back on track. But to do that by 2028 it will need a budget of R88 billion. The previous Defence Review was done in 1998 and focused on social challenges within the force. The executive director of the Institute for Security Studies, Jakkie Cilliers, said the latest review was optimistic, but raised key issues. “The SANDF is greatly underfunded but I believe it is unrealistic to think the Treasury will double the budget in less than 20 years,” Cilliers said. He added that the role of the SANDF was not traditional in the sense of protecting the country against invasion or war, but its role was in assisting the African continent in peacekeeping and stability missions as well as protecting the country’s borders. The current SANDF budget is R47.9 billion or 1.1% of the total gross domestic product (GDP). The average for a developing nation not at war is 2% of GDP. Algeria’s defence budget is more than four times that of South Africa. Minister of Defence and Military Veterans Nosiviwe Mapisa-Nqakula said government had no choice but to increase the defence budget. “Either we keep on declining or we reorganise. Government has said we must not decline, this means it is already a commitment from them (for more funding),” she said. The review sets out five milestones the SANDF need to achieve to become fully functional by 2028 and would like to reach the first milestone next year. To reach milestone one, the SANDF must set up a defence academy to train tomorrow’s leaders, establish a forward base in Africa and provide direction to defence-related industries, General John Gibs, a member of the review panel said yesterday. He added that by then they would like an accountability regime that follows the chain of command. By 2018, they want to reorganise their command system as well as personnel, rebalance the defence budget and allocate it to the different divisions and grow the departments capabilities such as Intelligence, Special Forces and the Air Force. To reach milestone three by 2023, they want quality educated leaders, disciplined soldiers and to ensure the SANDF is capable of fighting in heavy combat. By 2028 they believe they can be fully functional and able to protect South Africa and its borders as well as assist in all continental responsibilities. Mapisa-Nqakula said by focusing on the social inequalities in the SANDF for more than a decade, its resources had been left holding the short straw. “The report notes that the longer the current state of affairs is perpetuated, the greater the effort and cost will be to reverse the decline and restore the capabilities required to safeguard South Africa’s borders, protect its maritime trade routes, defend the country against aggression and conduct peace missions,” she said. Cilliers said he believes the defence budget should be closer to 2% of the GDP. “They need to reshuffle and get rid of the unfit and bloated in the department. In the review they admitted discipline is a problem in the Defence Force…” he said. He added South Africa has more pressing problems and the SANDF should realise defence is not a priority for the country. “They are trying to re-establish to protect us, but they have more of a peaceful role to fulfill,” he said. DA spokesperson on defence David Maynier called the review an “exercise of work avoidance” and “dislodged from fiscal reality”. Mapisa-Nqakula said in the next phase of the review process they will look at policy formulation, legislation and implementation.